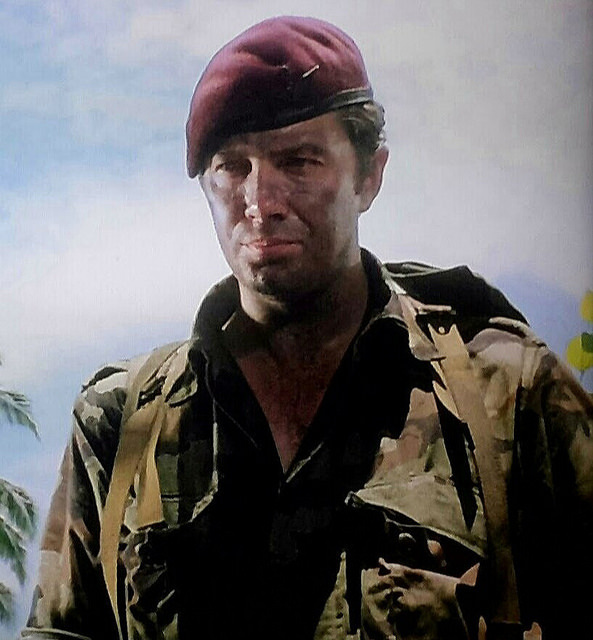 #206....."LEWIS COLLINS" - BODIE 3.7 . you'll never walk alone ! Oh wow! This is fantastic, thank you! Thankyou and doesn't he look gorgeous in his army fatigues. Thankyou and me too, how good does he look in his camo's ...always a *happy sigh*. You are very welcome and thankyou for looking, it's good to hear from you. LC looking tough as only he can! Thanks for sharing. Mmmmm gorgeous Lewis looking so hot in his army fatigues ... absolutely delicious. Thankyou and it's always wonderful to hear from you. Very nice--the colours are superb here. Thank you! Thankyou and i love him in his jungle setting...glad you like it and thankyou for looking, it's good to hear from you. I forgot to say something about this one! I do like it very much. The original is a good photo, but there's an added feel to this version. Thankyou, yes the original image is a beautiful one and i love how Lewis looks in it so i thought i would add it to my Lewis challenge of posting a pic a day of him. I'm sorry but that is my general take on having friends on my list, i like to be in contact with them and i know it's not possible to comment on every picture but i have people who friend me and then i never hear from them again so i then wonder why they would friend me in the first place. Now there's a man on a mission! oh he most certainly is...i love him in his army fatigues...yum yum. Thankyou so much for looking at this . Thankyou and doesn't he look delicioys in him army fatigues ...simply gorgeous.